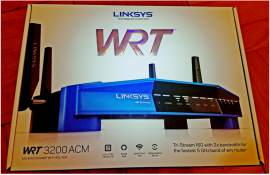 Linksys WRT: The Need for Speed! ​Nowadays, every home has multiple Internet connected devices. Mobile phones, game consoles, televisions, it is not just laptops that use the bandwidth of your wireless home network. 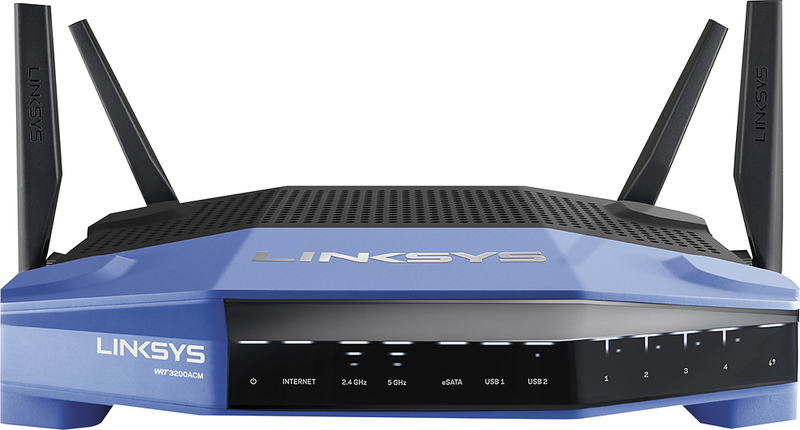 Wireless home networking pioneer Linksys has just launched a new router to its lineup! The Linksys WRT3200ACM MU-MIMO Gigabit Wi-Fi Router is powered by Tri-Stream 160 technology, which doubles the bandwidth on all spatial streams for the fastest dual-band router on the market! Devices connected to this wireless router can utilize restricted DFS channels at full bandwidth for the clearest Wi-Fi not available on most other routers. With support for loading custom firmware, the WRT3200ACM can serve not just home networking needs, but SOHO functions like VPN, network intrusion detection, and can serve as a web server. One of the great features of the WRT3200ACM is the inclusion of both USB 3.0 and eSATA ports. This allows the router to utilize external storage to share files across your network without the need for a separate file server. Equipped with innovative Tri-Stream 160 technology, the WRT3200ACM delivers untouched, extreme Wi-Fi speeds that never lag. Not available on other Wi-Fi routers, Tri-Stream 160 effectively doubles the bandwidth of the 5 GHz band to power data-heavy activity with ultra-fast 2.6 Gbps Wi-Fi speeds. This is double the bandwidth available AC1900 standards based wireless routers. The WRT3200ACM has two 5 GHz bands that support both high-end gaming and low-end applications without compromising speed and features remote management that lets you make adjustments from any location. The WRT3200ACM MU-MIMO Gigabit Wi-Fi Router is available at Best Buy for under $250! The WRT has a sleek design and color scheme! The WRT3200ACM MU-MIMO Gigabit Wi-Fi Router has everything you need for speed!